CHWP Tax & Finance Advisory was established in 2017 with its aim to expand support for business ventures of the key entities operating on the domestic and foreign markets, while at the same time guarantee professional, effective and modern cooperation in the field of taxation and finance. The company occupies a strategic position in the CHWP Group, which has been providing legal services for business for over 23 years. We are committed to promoting fair competition and providing our clients with security in the course of business. We provide a comprehensive reliable analysis and assessment of economic events in terms of tax consequences. Our experience enables us to provide a wide range of tax and financial products, in particular including only legal solutions, contributing to profitable operations on the market and ensuring the accuracy and correctness of settlements with the tax authorities. We use innovative technological solutions in the field of financial analysis, statistical modelling and simulation of processes taking place in the national economy, as well as – as the few ones on the market – we may provide strategic plans with the application of business data based on predictive modelling. Our key goal is to provide expertise in the field of assessment of the reliability of settlements of conducted transactions, as well as to identify risks resulting from past events, estimated costs of errors in the payment of public contributions. Our biggest asset which undoubtedly distinguishes us from other entities in the industry are our experts specialising in various scientific fields and disciplines, as well as in law, economics, finance, corporate accounting, being active in business for many years, or having many years of experience in organisational units of the Ministry of Finance. It enables us to adapt to our clients’ business needs, as well as to take into account all the comprehensive statutory and non-statutory fiscal requirements specified in the latest line of judicial decisions, judgements and announcements made by the Minister of Finance. The up-to-date concepts on tax and financial risk management designed and implemented by us are aimed to develop and increase the effectiveness of business, as well as to provide the public administration authorities with knowledge about the level of stability of the tax system in Poland. Assistant Professor of Economics, multiannual professor at the Johannes Kepler University in Linz. Esteemed advisor to the European Commission, the International Monetary Fund and the World Bank. Global expert in research & development in the fields of unofficial economy (grey market), tax avoidance, organized crime, as well as environmental economy. 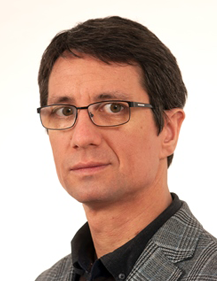 Since many years he has been involved in innovative studies relating to grey market in the European countries. 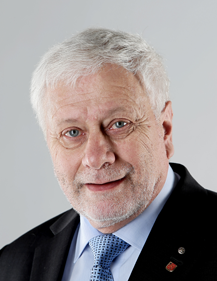 For many years he served as the Chairman of the Economics Association in Austria and Economics Association in Germany. Between 2005 and 2009 he served as a Management Board member of International Institute of Public Finance and subsequently as the Chairman of Academic Advisory Board at the Zeppelin University in Friedrichshafen, Germany. Currently, he serves as a member of the Advisory Board of the Upper Austrian ACADEMIA SUPERIOR – Gesellschaft für Zukunftsforschung. He is an author of numerous publications in leading worldwide economics press and a former publisher of the Journal of Public Choice and Perspektiven der Wirtschaftspolitik. Konrad Raczkowski, Ph.D., Associate Prof. Economist and manager; he specialises in financial management, economic positive/normative analysis on economic systems and unofficial economies. Since 2012 he has been the director of the Economic Institute of the Social Academy of Sciences in Warsaw and the head of the Department of Management in the Economy. Since 2015 Member of the National Development Council at the President of the Republic of Poland. Authorised tax adviser and member of the State Examination Board for Tax Counselling (Fifth Term). He fulfils managerial and supervisory functions on the financial market in Poland. Former Deputy Minister of Finance. He was/is an expert and advisor to public institutions, economic organisations and business enterprises. He cooperated, among others, with the European Anti-Fraud Office in Brussels and the Institute for Security and Development Policy in Stockholm. He is a scholarship holder of the Swedish government in management (2009), a member of the Royal Economic Society and the British Academy of Management. He cooperates in research with the University of Cambridge and is the author of over 100 scientific publications. 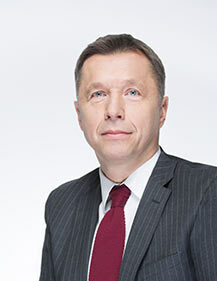 He is a laureate of the President of the Polish Academy of Sciences award for “outstanding scientific achievements in the field of finance” in the 9th competition of the Committee of Sciences on Finance of the Polish Academy of Sciences (2016). Awarded with the medal by the Polish Chamber of Liquid Fuels and the gold medal by the Minister of Justice. He is a specialist in the field of corporate law, mergers and acquisitions and contract law. He was an advisor and negotiator in a variety of privatisation projects of the key Polish state-owned enterprises and numerous acquisitions and mergers (including these of stocks and shares). He supported the largest Polish capital groups in their restructuring and investment projects. Within the scope of his activity to date, he was a member of the governing bodies of many companies, among others, Vice-President of Radomska Wytwórnia Telekomunikacyjna and advisor to the Management Board of TVP SA. He also served as Chairman of the Supervisory Board of Messenger Service Stolica SA (now UPS Polska Sp. z o.o.) and sat on the Supervisory Board of Mostostal Zabrze Holding SA. Currently he is a member of the Supervisory Board of Energa Czarnia Słupsk and a member of the Management Board of the Baltic Business Forum. 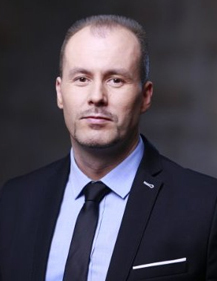 He is an active member of many organisations, among others, an expert at the Business Centre Club for business law or a member of the Polish Sports Law Society. Moreover, he is an arbitrator of the Arbitration Court at PKPP Lewiatan and the Arbitration Court at the Chamber of Commerce and Industry in Kraków. He is also an independent appraiser of the Association of Engineers Advisers and Appraisers. He also sits on many Programme Councils, including the Forum of Smart Cities and Modern Technologies City Plus Toruń, Leader Pit-Stop, CEO Round Table, and the Smart Cities Forum in Łódź. He is also a member of the Programme Council of the oldest business club in Poland – the Polish Business Club. Ph.D. in Economics in the discipline of management sciences, tax advisor (entry no. 13248). Graduate of the Faculty of Economics at the University of Białystok and the Postgraduate Studies in Accounting and Business Finance at the Warsaw School of Economics. Practitioner in the field of law application and assessment of the legality of corporate tax strategies. She specialises in financial reporting, tax and criminal analysis, tax risk management, public finance and tax proceedings. Assistant Professor of Economics in the financial field. Titular Professor in the Collegium of Management and Finance at the Warsaw School of Economics (SGH). He practices finance, including in particular corporate tax and capital tax. As one of the few, he is also a specialist in taxation of real estate from perspective of tax policies of local authorities in Poland. He is a member of the Scientific Council in the Collegium of Management and Finance at the Warsaw School of Economics (SGH) and the Head of the Management Postgraduate Program – Finance, Tax and Accountancy at the Warsaw School of Economics (SGH). Expertise is an essential element of his activity, he prepared numerous opinions and expertise for the Polish Parliament. He is an author and co-author of over 100 peer-reviewed publications. He has published his scientific research results in leading Polish science press. He is an award-winning for scientific and teaching activity, including collective awards made by the Polish Ministry of Education and Sports, the Polish Ministry of Education and the President of the Warsaw School of Economics (SGH). Lawyer, economist, Ph.D. in Economics in the field of management, specialisation: broadly-comprehended financial management, focused mainly on the field of capital markets, financial instruments, financial risk, corporate financial management, currency market. 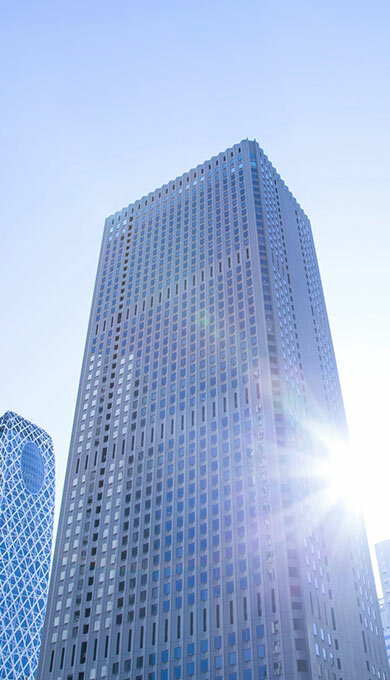 Professional experience: several years of experience in the area of capital markets gained at managerial positions in financial institutions at various levels. He held managerial positions and advised companies listed at the Warsaw Stock Exchange (ECM S.A., Police S.A., INVISTA S.A.). Arbitrator at the International Court of Arbitration in Amsterdam and the Court of Arbitration at the Regional Chamber of Commerce in Katowice. Court expert at the District Court in Warsaw and the District Court in Warsaw (Warszawa-Praga). Trainer in the field of financial management and financial risk management (Institute of Business Development in Warsaw, Capital Market Institute). Academic lecturer (Social Academy of Sciences in Warsaw, University of Infrastructure and Management in Warsaw). His scientific achievements focus on broadly-comprehended finance and financial management, focused mainly on the field of capital markets, financial instruments (derivatives), risk, and corporate financial management. 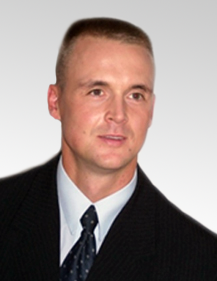 Jarosław Klepacki, Ph.D. is the author of numerous publications in the specified scope, including expert opinions prepared at the request of courts, prosecutors’ offices, legal chambers or commercial companies. Laureate of the President of the Polish Academy of Sciences award for “outstanding scientific achievements in the field of finance” in the 9th competition of the Committee of Sciences on Finance of the Polish Academy of Sciences (2016).